Have you ever thought about managing a complete building survey on a mobile device of your choice? 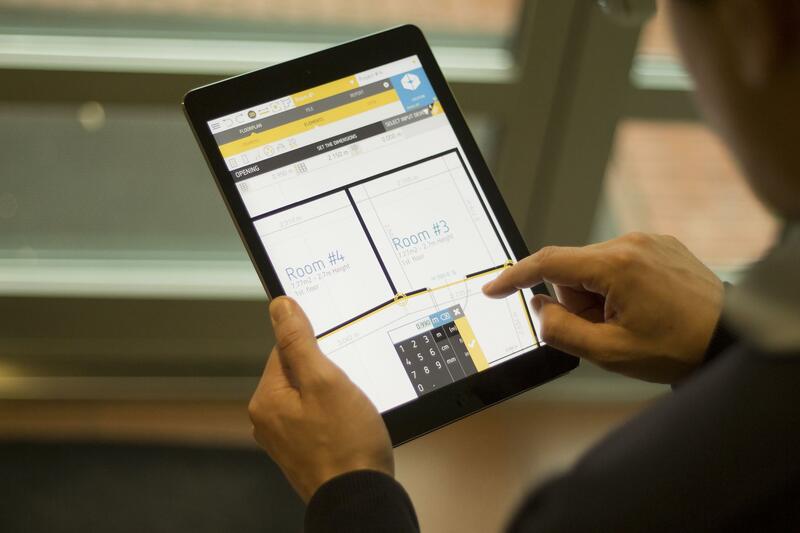 Can you imagine a professional floor plan, which was created using your smartphone or tablet? See OrthoGraph's redeveloped measurement technology, which is not only more improved, but also faster than ever it was. Create complete floor plans in the most professional way: use just your tablet or smartphone, OrthoGraph I. and your hand to make a professional building survey. 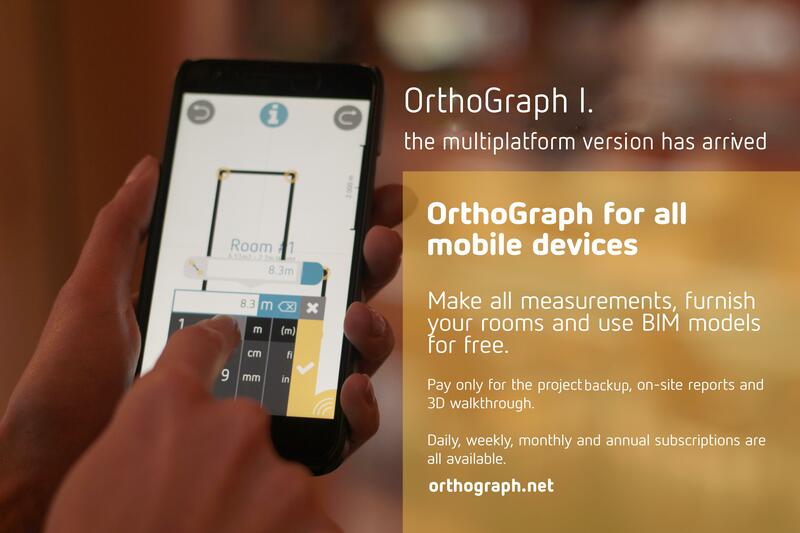 Beside the new features, you can use OrthoGraph I. 's core functionalities for free on all mobile platforms: sketch rooms, make measurements, furnish your floor plan, and even see your plans in 3D as a short preview. From now on, you have to pay only for the project saving, on-site reports and 3D walkthrough as a daily, weekly, monthly or annual subscription. It's so easy, so effective, such a big fun, give it a try now! OrthoGraph’s unique measurement technology has been absolutely redeveloped! OrthoGraph I. is extremely effective when combined with the newest Leica laser distance meter, Leica DISTO D2, which is the best DISTO choice for indoor measurements: small size with high-performance and flip-out end piece. This allows you to measure all corners and diagonals with speed and with the highest accuracy. Have you ever thought about managing a complete building survey on a smartphone screen? From now on, it's possible by using OrthoGraph I. 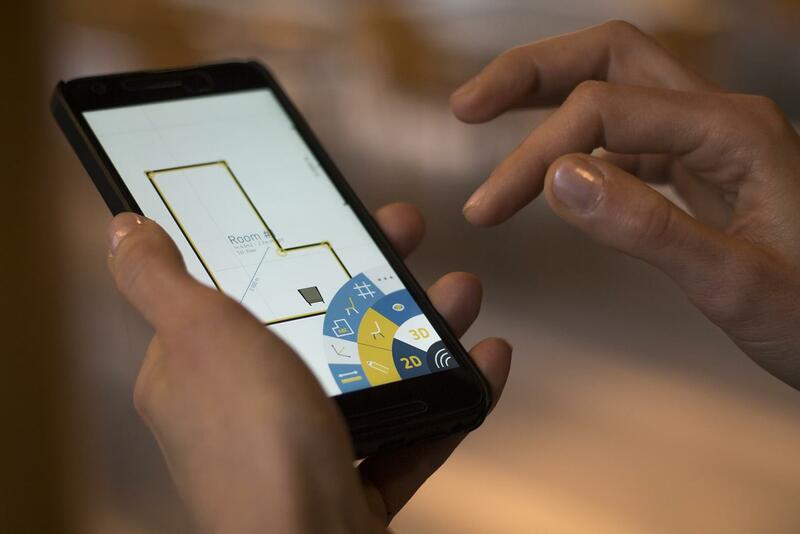 Meet an ergonomic, easy-to-use user interface, which makes a complete building survey available on smartphones, too. Draw and set walls with simple touches, measure walls, diagonals, angles as you go, get calculations on site easily. Save yourself from the long manual export hours of your work results into different formats, OrthoGraph is compatible with most CAD software – no need to worry about data loss anymore! By using OrthoGraph you build BIM models, which can be exported into different file formats (IFC, DXF, PDF) with just a simple touch, just to be emailed to your desktop or even to your clients. It’s all there in your phone! Use OrthoGraph I.’s full functionality for free! Sketch rooms, make measurements, furnish your floor plan, even preview your plans shortly in 3D. From now on, you have to pay only for the project saving, on-site reports and 3D walkthrough as a daily, weekly, monthly or annual subscription. Daily and weekly pass is the best choice for those who want to make a complete building survey on their home or flat in a fast and accurate way.